Not only do these classic bi fold doors allow lots of light in, but they can be also great for enlarging your available living space and bringing the outside in! 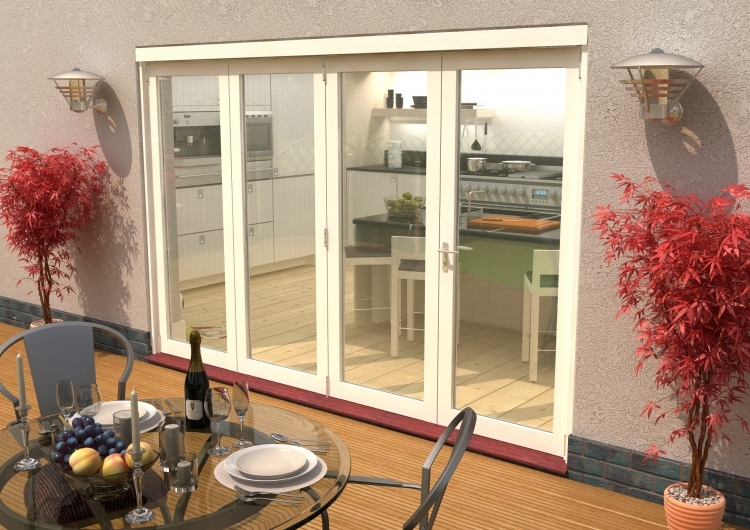 The Climadoor classic white folding doorset is as stylish as it's practical. You may also determine whether your Climadoor classic patio doors feature a double or single day-to-day entrance door. The day-to-day entrance door functions like a standard door so that you simply don’t need to open the doors entirely for instantly nipping in and out of the house. These bifold doors open outwards to stop and to save space in your home any rainwater from dripping down the glass and on to your flooring during inclement weather. The top-hung Guaranteed By Design running gear ensures that the opening and closing motion is effortlessly super protected and easy for your piece of mind. We are proud to verify that we're readily accessible to support and assist you at any point during your Vibrant doors encounter. To make sure you can purchase the appropriate merchandise from us we have designed the site to ensure that each detail you need is readily observable, accessible and presented in an understandable way. We're pros and understand the high level of service and variety of products our customers need. So here at Vibrant Doors we meet and exceed your requirements by providing the best prices, fastest delivery time in the market and a great variety of products. We are committed to attaining high levels of customer satisfaction and delivering you the whole package.